Background: Chief Trader McDonald descending the Fraser, 1828, by A. Sherriff Scott. The importance of understanding ourselves by examining our history has been an anchoring belief at Canada’s National History Society. Our work is to bring relevance and awareness to our nation’s past, illuminating the people, places and events that unite us as Canadians. Our country marked its 150th anniversary of Confederation in 2017. In 2020, our flagship magazine, Canada’s History, celebrates one hundred years of storytelling as the second-oldest magazine in the country. 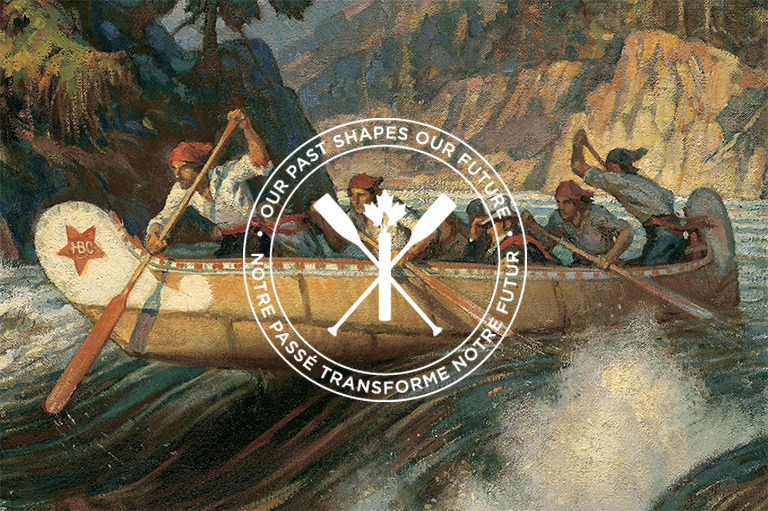 In celebrating these milestones, Canada’s National History Society is establishing a new company of Adventurers—champions of history who will help Canadians communicate our collective identity, shape new thinking and open fresh frontiers. The initiative is designed to encourage major and multiyear contributions from community leaders from coast to coast to coast. Our work has only just begun, and we are grateful for the early support of these leaders in the company of Adventurers. Our founding patron, the Hudson’s Bay Company History Foundation, is the principal private donor to Canada’s History Society. 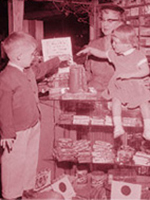 Since our inception in 1994, the HBC History Foundation has helped to support the Society and sustain the publication of Canada’s History magazine, formerly The Beaver. Since 2002, TD Bank Group has been a loyal sponsor, celebrating the great work of recipients of the Governor General’s History Awards. The annual event honours the exemplary work of history teachers, writers, filmmakers, scholars, museums and community groups. H. Sanford Riley, Manitoba, has encouraged and supported us in many ways, bringing together Manitoba leaders to advance the work of the Society and creating the Great Writers initiative, a new fund to bring prominent writers to the pages of Canada’s History magazine. Several of Canada’s leading families have joined the Adventurers to date, including The Asper Foundation, Manitoba; John and Pattie Cleghorn and Family, Ontario; The Molson Foundation, Quebec; The Pollard Family Foundation, Manitoba; and Richardson Foundation, Manitoba. The publishing and distribution of our 2017 Special Collector’s issues of Canada’s History and Kayak: Canada’s History Magazine for Kids is significantly supported by Adventurers Jim and Leney Richardson, Manitoba. Key individual Adventurers include W. John Bennett, Quebec; James W. Burns, Manitoba; Cecil and Susan Hawkins, Ontario; Edward and Stella Kennedy, Manitoba; Joseph E. Martin, Ontario; Richard W. Pound, Quebec; J. Derek Riley, Manitoba; and David Ross and Audrey Loeb, Ontario. National leaders such as CDS Global Canada, Great-West Life, London Life and Canada Life, together with MTS, RBC Foundation, and Canada’s first community foundation, The Winnipeg Foundation, are key among the Adventurers who help us engage youth, share authentic Indigenous histories, grow a national dialogue and celebrate our national history community. Every province has borne witness to significant events and people who have made thoughtful investments in our nation’s growth. It’s time to join together to ensure that our collective story is told. History has the power to give meaning to our lives, to heal wounds, and to set the record straight. Together, we are embarking on the journey of a lifetime to protect, preserve, and promote this critical national resource.